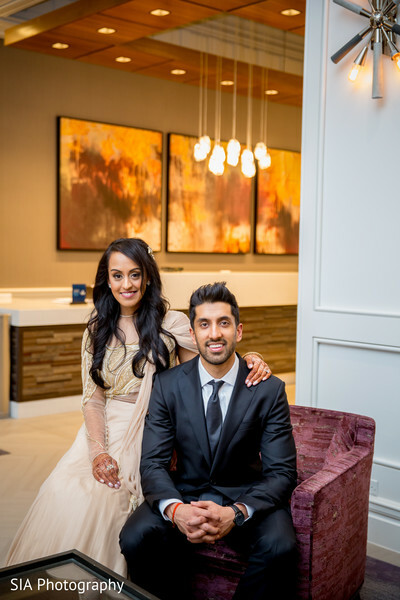 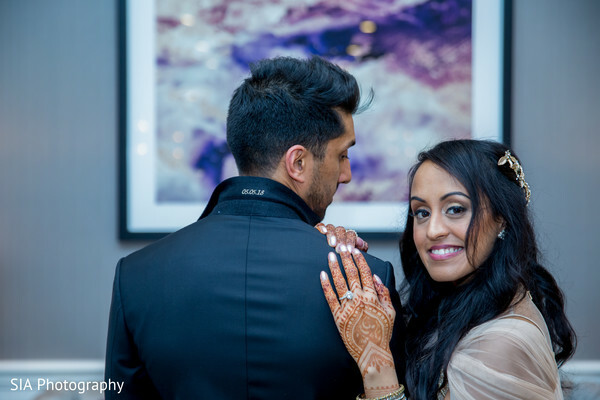 Puja and Amey’s first public appearance as a married couple took place right after their marriage ceremony at the Hilton Columbus at Easton whose brilliant planning staff ensured the day was the most unforgettable with all the events going without a hitch. 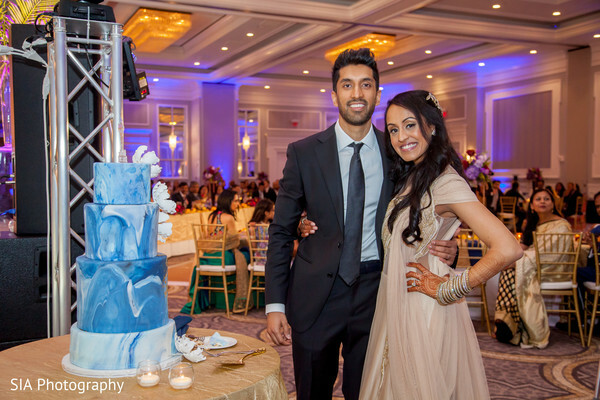 Short North Piece of Cake created a fantastic watercolor wedding cake that resembles a vibrant painting. 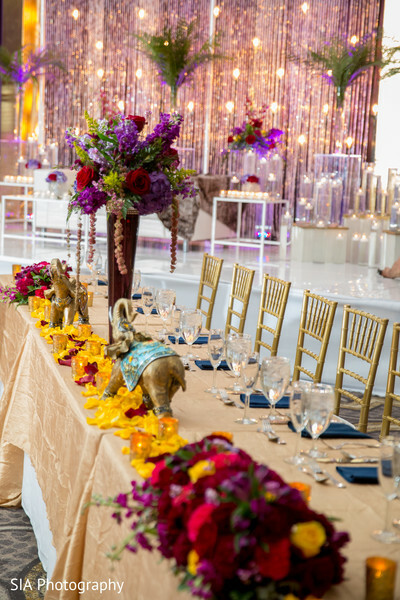 To follow the same ceremony décor theme, Kelly Karsten Florals provided all the palm leaves and multicolor flowers that combined with B3 Event Management’s jaw-dropping stage and created the perfect ambiance for the newlyweds! 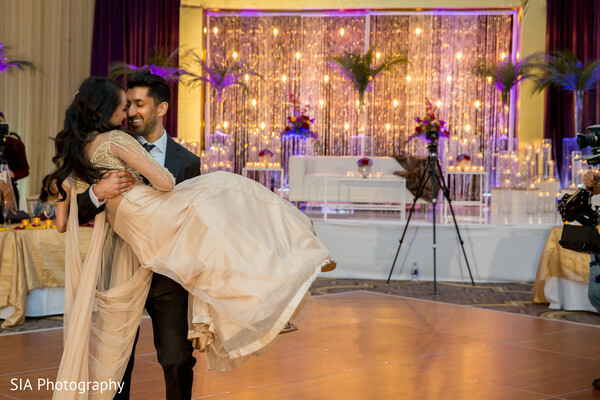 Illuminated by floating candles, Puja and Amey were photographed by SIA Digital Studio, the photo team captured the couple’s best poses wearing their fabulous reception outfits. 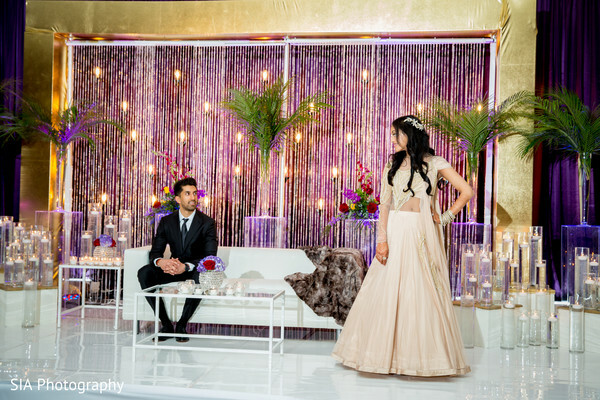 I’m especially loving Puja’s selection for her big party, her unique choli design was a true statement and helped her steal the limelight! 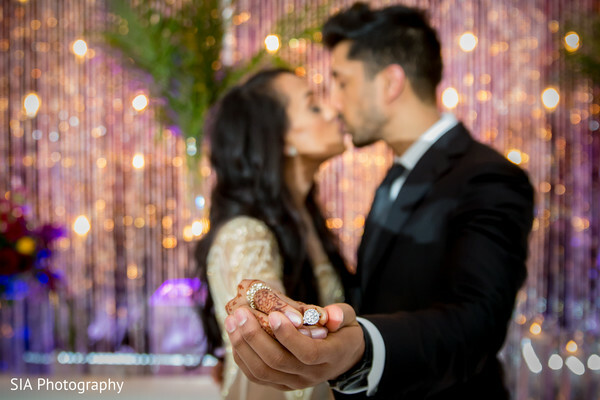 Take a look at our favorite moments of this incredibly beautiful love story in our full gallery. 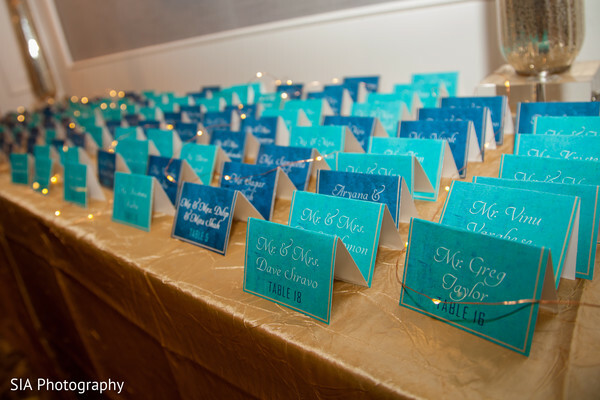 If you are already brainstorming for your big day, don’t miss our posts tomorrow!